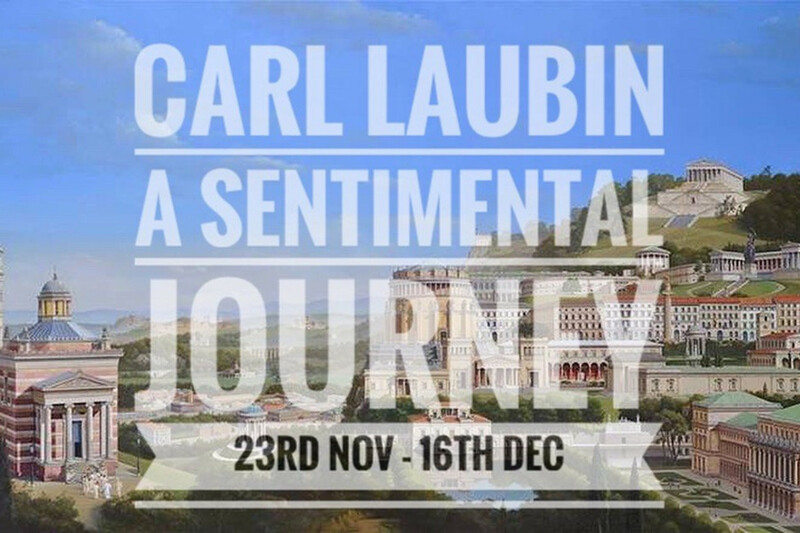 Countdown to the Carl Laubin Show! American born artist Carl Laubin (born 1947), now living and working in the UK, is best known for the virtuosity of his capricci. A ‘capriccio’ in painting means a fantasy combining actual buildings, ruins, even fictional touches, dating back, some say, to ancient Rome, and the wall decorations of Pompeii and Herculaneum. In the past Laubin has painted capricci as tributes to his heroes Palladio, Hawksmoor (coarchitect with Vanbrugh) of Castle Howard, Christopher Wren and Edwin Lutyens. These fantastical visions attract collectors from around the world. His skilful brushwork captures texture, light and air, to transform an academic study into a joyful work of art. Laubin trained as an architect at Cornell, worked for London practices, including Jeremy Dixon, who encouraged him to illustrate their redevelopment of the Royal Opera House. By 1986, painting, his first love since early childhood, took over full time. He has been exhibiting capricci, as well as landscapes and still life at Plus One Gallery for fifteen years. Carl Laubin describes his friend, architect, artist and theorist Leon Krier as a ‘unifying thread’ linking the diverse strands in this exhibition. Krier, the ‘godfather of idealist urban planning’ was commissioned by Prince Charles to build Poundbury, an extension to the city of Dorchester, in Dorset, on a traditional, human scale. 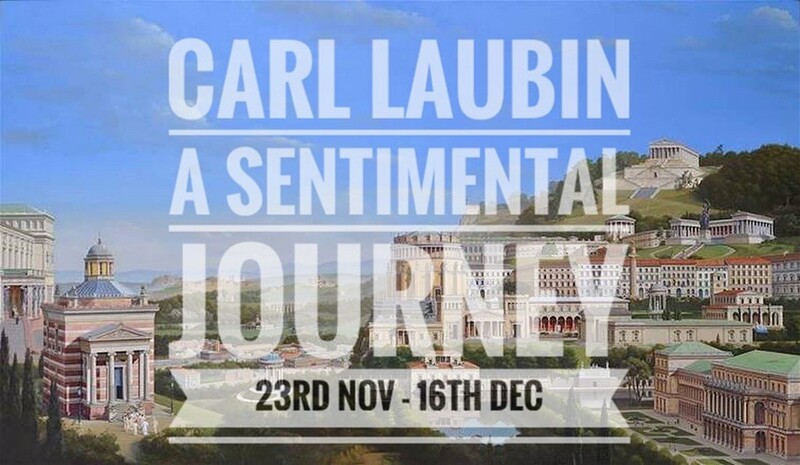 Laubin begins his journey with capricci inspired by the ‘marvellous’ if little known Leo von Klenze (1784- 1864) who transformed Munich from a provincial town into a major cultural capital city. Krier introduced von Klenze to Laubin some thirty years ago. ‘Klenzeana’, including many of his best known buildings and ‘Befreiungshalle’ built to celebrate of Bavarian freedom from Napoleonic rule, are two of the most powerful works in the show. When his patron, King Ludwig I of Bavaria, first saw Befreiungshalle, its beauty reduced him to tears. Leon Krier led Laubin to make a creative journey from neo-classical 19th century to 1920s modernist. They worked together to make capricci based on Le Corbusier’s 1925 housing project for Cite Henri Fruges, a workers suburb in Pessac, near Bordeaux. Laubin used Krier’s sketches, based on Le Corbusier’s second phase, never built, to add the amenities of a proper community by adding squares, a church, town hall, market and club Laubin’s paintings ‘Machines for Living 1 and 11’ echo Le Corbusier’s most famous phrase.